If you are looking to play some tennis with some mates after work in the city you're actually quite limited in choice, especially if you work in the northern section of the city in Sydney around Wynyard. In this article we'll give you a complete list of the tennis courts located in and around Sydney CBD, as well as the amenities you can expect at these courts. 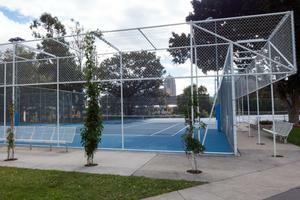 If your workplace is near Wynyard or are looking for a court in and around the northern CBD then look no further than the tennis courts at The Langham on Kent St. Its about a 5 minute walk from Wynyard Station and is definitely the closest and most convenient tennis court in this part of the city. They've got a single hard court which is open from 7am to 10pm 7 days a week and its completely floodlit meaning you will get great visibility even at night. If you don't mind a slightly longer stroll (quite a nice walk over the Pyrmont bridge) than the Jackson's Landing courts in Pyrmont are great option. 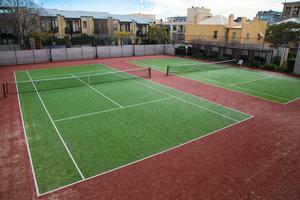 They offer 2 great synthetic grass courts (sand filled) which are well maintained and kept free of leaf litter. Only downside is that they are open only until 7pm and don't have any lighting, so make sure to go a bit earlier when you play there. Again a similar distance from Wynyard as the Pyrmont tennis courts, the Ultimo community centre tennis courts are about a 15 minute walk from the northern end of the Sydney CBD and a short 5 minute stroll from Town Hall. 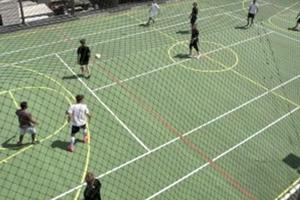 They offer 2 hard courts for bookings. These courts are open only until 3/4pm most days but they do offer tennis racquet and ball hire which is quite convenient. The tennis courts at Prince Alfred Park offer great convenience for city workers since they are open until 11pm every day of week, they also open at 6am in the morning in case you want to organise an early morning hit. 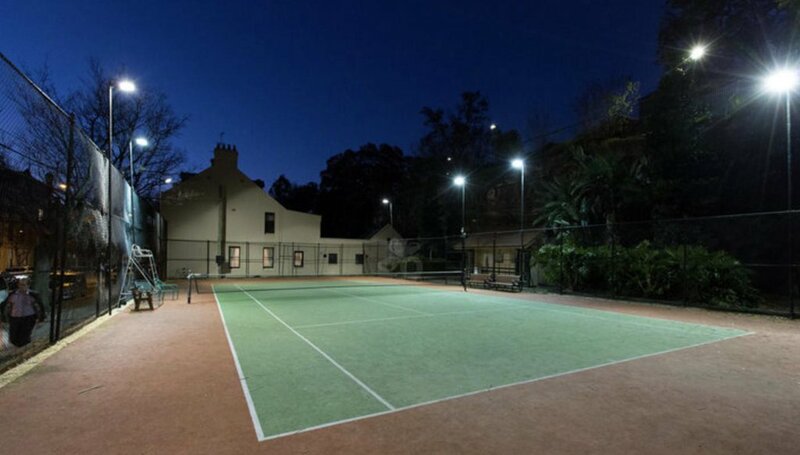 The facilities at Surry Hills include 5 plexi-cushion courts (surface of the Australian Open), lights, community room, amenities and office. Equipment hire and purchases, drinks and snacks are available during office hours. If you still can't find a tennis court near you or you want to find one in a different location, try searching for a court at Kourty.